Leather corals are another very hardly coral making them a very good choice for people that are new to the hobby. They are readily available throughout the hobby and they can also grow to become a great looking addition to any set-up if kept in the correct conditions. These corals are very popular with both new hobbyist starting with corals for the first time, and advanced hobbyist as well making them among the most popular corals in the hobby today. Generally speaking, leather corals are a soft skinned coral with visible polyps all over their skin. The do not have a calcified skeleton structure making them a little more tolerant of some water parameters like calcium. There are hundreds of different species of leather corals. Properly identify the exact species can sometime be very difficult as their shape can altered due to environmental factors such as temperature, salinity, light intensity and water movement to name a few. 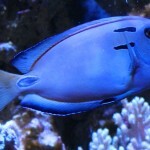 A leather can look one way in a aquarium and then (over time) look very different when placed in another tank. 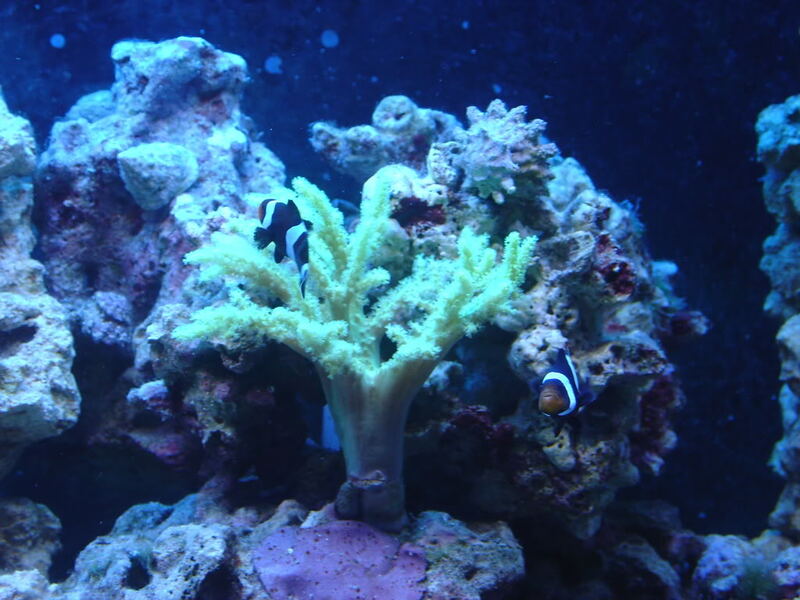 Just as with any coral, you water parameters should be in line and stable for your corals to thrive and grow. Flow: Moderate flow, but most are tolerant of higher lighting levels. As leathers do not have a calcified skeleton structure, they can be more tolerant of swings in the alkalinity, calcium, and magnesium when compared to other corals. 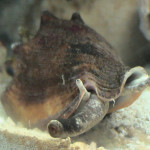 However, they will not be very tolerations to swings in PH, Temp, or salinity which is no different than any other coral or fish. Most leathers have some very effective defensive abilities. Leathers commonly have the ability to sting other corals and some fish along with emitting chemicals to ward off other corals from entering their space. For this reason it is very important to understand how big your leather coral can get and plan for enough space between your leather coral and other corals. Just leaving a few inches may not always be enough as some leathers can get surprisingly large. It would also be a good idea to have some carbon in your set-up in case your leather will start to emit defensive chemicals. 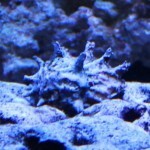 This is one coral that will be the least likely to be picked on by most fish in the hobby. Just as with most corals, leather do not like to be handled and/or moved a lot. This will cause them stress and retract when handled and it can take them a few days to fully extend. At times when are disturb, they will develop what looks like a light colored wax coating on them. This can happen after being handled, or if they are being bothered by algae starting to grow on them or pests such as flat worms. They will later shed this coating to rid themselves of what every was bothering them which can also be a normal process for a leather coral provided it only happens occasionally. Frequent build up and shading of this coating can be a indication the water parameters/water quality may be off. All of the hardy, easy to care for leathers can fragged with a very high success rate. This is another hardy coral. They will look like a little tree with fat branches and are green in color. 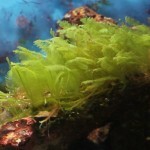 The coloring can range from bright almost neon green to a darker green. The branches of this coral will be covered in short polyps a little lighter in color than the base which, at times, can make it look almost “furry”. 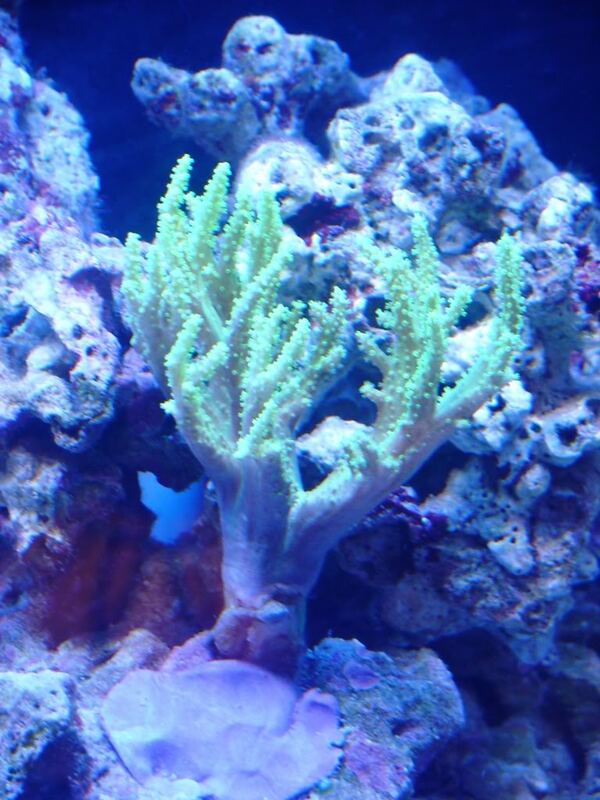 This coral should ideally get around 10 inches of tank space for its long term growth. I have had one of these for almost a year now. 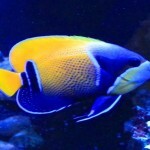 Before getting a anemone for this tank, my clown fish hosted in it for about 3 to 4 months. Normally, clown fish hosting in corals can add a lot of stress to the corals but this seemed to have no effect at all on the leather. Mine is a little higher up in the tank and is a really nice light green almost neon color. 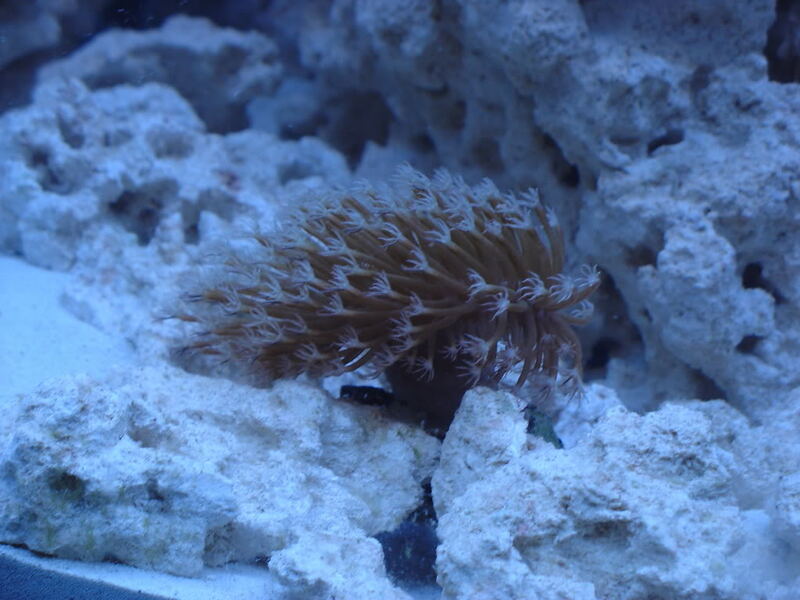 This one was also among my first corals that I have kept. I have include a few pics (above) of mine. This is another very tough leather coral. This is among the most common leathers found in the hobby. They can have a wide range in color from browns, to reds, purple, and almost blue like colors. The polyps will be a little different in color than the base. These leathers can get up to 8 inches in height and around 12 inch wide along the base. 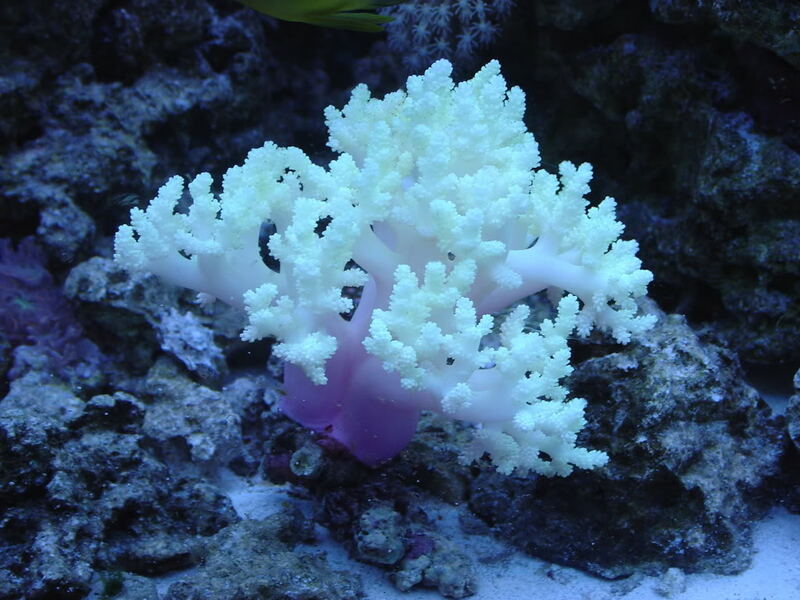 This coral will need anywhere from 10 to 14 inches of space in a aquarium. Due to their size and coloring, many hobbyist have used them as a center pc coral. I got a purple/pink finger leather coral close to a year ago now and have found it to be one of the fastest growing leather corals that I have kept. I had fragged it once and it recovered very quickly. Above is a pic of my finger leather. The colt coral is also among the easiest corals to take care of. They are also commonly referred to as cauliflower corals. It can look similar to a finger coral, but the shape of the polyps and the tips of the fingers make it look more like cauliflower. 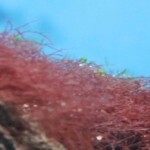 They will more commonly range in color from a brownish red to a light pink with the polyps a little brighter color than the base. Colt corals do best with a little more than moderate flow. They don’t get quite as big as a finger leather but will still need 10 to 12 inches of space in your tank based on its size potential and growth rates. 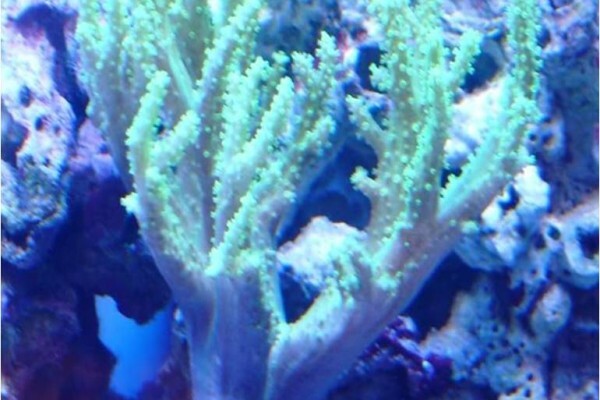 The above pic is one colt coral that I have kept. The picture was take shortly after I added him to my tank so his polyps are still not fully extended. I really did like the pink color. It was another very easy to care for coral. Also called the: mushroom leather, cup leather coral, and umbrella leather coral, this is among the toughest leather corals that you can get. There will be a short base with a head structure on top that will make it look a lot like a mushroom or a toadstool. They commonly range in color from brown to yellow and less commonly in shades of green. 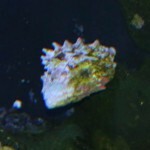 The polyps will range in color from white to gold and less commonly in green. 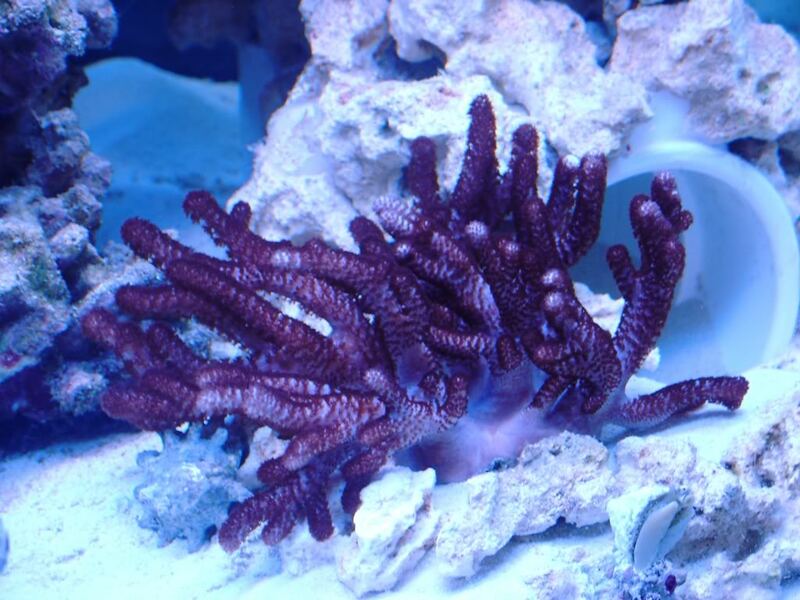 This coral should get around 6 to 10 inches of space in your tank. I’ve never actually kept one of these leathers so I don’t have a picture to show you. Leather corals are a soft coral with a rather tough leathery skin. 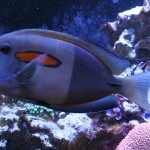 They come in all sorts of attractive shapes and can be quite dynamic in the reef aquarium. They can change form by expanding and deflating their body or extending and retracting their tentacles. Valuable info. Lucky me I found your website by chance, and I’m stunned why this accident did not took place in advance! I bookmarked it. thanks for the clear ,no hussle info……………………….. I have a finger leather coral from long time ago. But last 5 days its not opening and become small and stiff like close human finger. And dis-charge fat from its body. Now what should I do ??? -Could your leather have been stung by another coral ? -Could your leather be shedding it’s skin ? -Have you changed anything with your set-up ? -Is the tempurature in your tank stable ? -How much flow is the leather in ? -What are your current water parameters ? -Is your leather bleaching out ? Green leather still won’t open and now white one is not opening either. I have had lots of action gong on in tank w/ the water changes over the last wk. Could that be the problem or am I missing something? 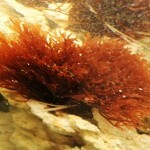 Do you know your current alkalinity level ? When you say your nitrates were high, how high were they before you lowered them ? Do you know what type of leathers they are ? Are the two leathers close enough so they can almost touch each other ? Are you currently using carbon in your set-up, and if yes, when was they last time you changed it ? *The nitrates were (gasp) 160! I have never had them go over 20 before but I was sick for 2 weeks and didn’t get my weekly water changes in. I was able to get them lowered to zero in less than 24 hours. *I was told they were toadstool leather corals. *They are next to each other but one is raised higher on the rock they are sharing. When the newest and lower coral is fully extended he is about 2 inches from the other guy. *Yes, using carcon and I put brand new filters and carbon in when I started the water changes. My filter will work in a 175 gallon tank. Another question but not related to the leathers….With this huge water change would that cause a diatom bloom? *Was sick for several wks and family didn’t do as many water changes as I normally do (once a week). Nitrates got up to 160…. *I was told they are both toadstool leathers. *Leathers share a large piece of rock. One is higher than the other and when the newest coral is fully open he is within about two inches from the base of the other. The are at a 9 and 12 o’clock position on the rock. *I am using carbon (always have) and when I started the water changes I replaced all carbon and filter pads. My canister filter will work for a tank up to 175 gallons. *Forgot to mention that I replaced my bulbs with one white, one pink and 2 ultra blue. Didn’t like the pink glow so went back to my origional 2 whites and two purple bulbs. Now have a raging diatom bloom…is that normal? Ok. So should I move the corals further away from each other. The newer of the two is on a movable base. Have they basically poisoned each other now? Any idea if they will recover? I moved them apart and will continue with my normal weekly water changes along with changing the carbon. I was reading your lost couple of post, hoping you or someone can help. I have several leathers, they are dying. Everything else in my tank is great. Any suggestions on what is happening? Tһanks a lot for shɑring this with all folks you reaⅼly understand what you аre talking about!